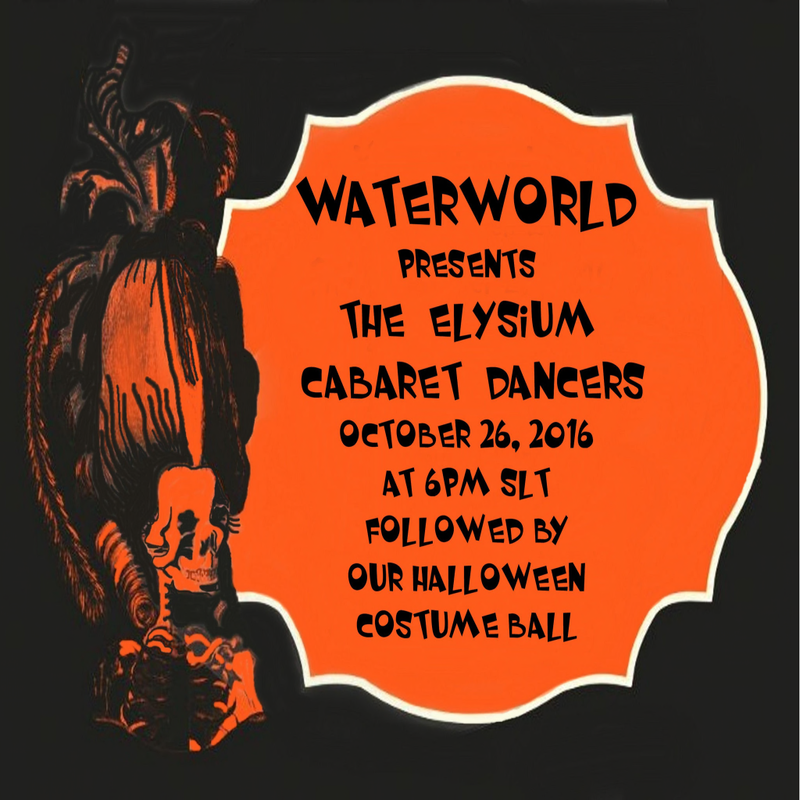 Linden Endowment for the Arts: LEA9 - WaterWorld Halloween Party! LEA9 - WaterWorld Halloween Party! Halloween has come to WaterWorld ...Spooky and lots of interactive things to do ...The Empire Cabaret will be performing a Haunted Halloween Dance Show on Wednesday, October 26th at 6pm slt. It will be followed by a Halloween Costume ball ... prizes will be given for best costume. Don't miss out on what will be a fun and spooky event! !